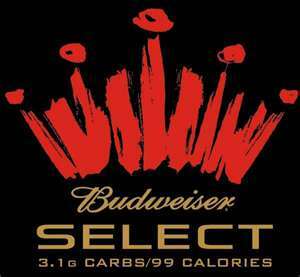 Budweiser Select, or Bud Select is a light pale lager that contains 4.3% ABV and 99 calories per 12 ounce serving. Anheuser-Busch has aggressively promoted Budweiser Select. Its slogan was "The Real Deal". The company hired Jay-Z as a spokesman for the brand.